On April 26, 2014 – Some ancient artifacts were uncovered. It’s a relatively well-known tale that dates back to the beginning of video game history. “E.T. – The Extra Terrestrial” is considered one of the worst video games of all time. It was the first of many films to be accompanied by a hackneyed cut-and-paste video game title. 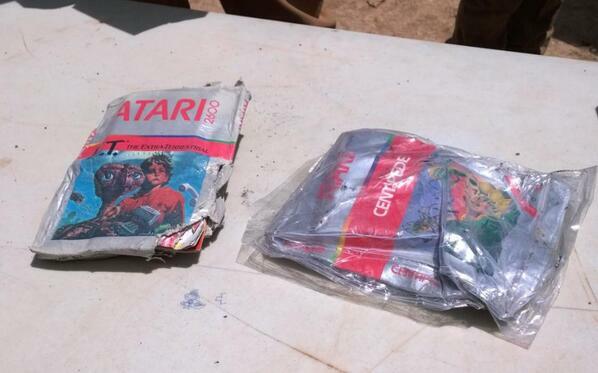 The legend says that Atari buried the unsold copies in a landfill in New Mexico. Well that “legend” is no longer a “legend” anymore. It was hard to get into a conversation about video games in 1983 without bringing up Atari. In 1982 other companies began to enter the video game market, so even before ET was released the company was struggling. The game is reported to have had a $536 million loss and some say it lead to the company being divided and sold in 1984. The game was not only considered one of the biggest mistakes in video game history, but it is also cited as the video game industry crisis of 1983. 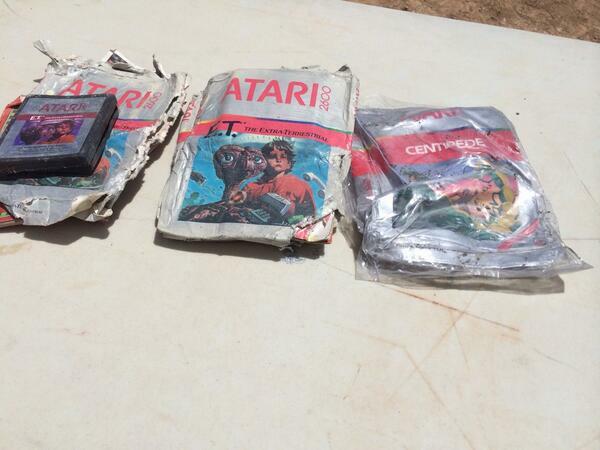 In September of 1983, almost a year after the game’s release, the Alamogordo Daily News of Alamogordo, New Mexico reported in a series of articles that semi-trailer truckloads of Atari boxes, cartridges and systems from an Atari storehouse in El Paso, Texas were crushed and buried at the landfill within the city. The landfill was chosen particularly because no scavenging was allowed and its garbage was crushed and buried nightly. On May 28, 2013 (nearly 30 years later), Alamogordo City Commission approved Fuel Industries, an Ottawa-based entertainment company, for six months of landfill access to help create a documentary about the urban legend. 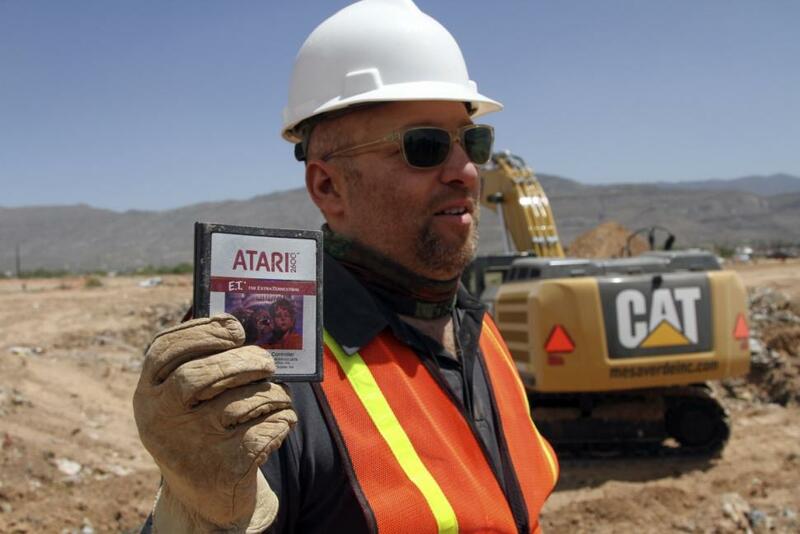 The documentary will be released exclusively on Xbox One by the newly formed Xbox Entertainment Studios and it will be directed by Zak Penn, the writer for “The Avengers” and “X-Men 2.” Yesterday, remnants of “ET” and other Atari games were discovered early on in the search, confirming that this wasn’t a myth. A buried treasure was uncovered, but many would argue that the awful game probably should’ve been left in the dirt. Sometimes, dead is better. Regardless, this will prove to be an interesting and telling arc to Penn’s film.